Frosted Crystal Heart Studs As Low As $2 SHIPPED (Reg. $19.95)! You are here: Home / Great Deals / Frosted Crystal Heart Studs As Low As $2 SHIPPED (Reg. $19.95)! 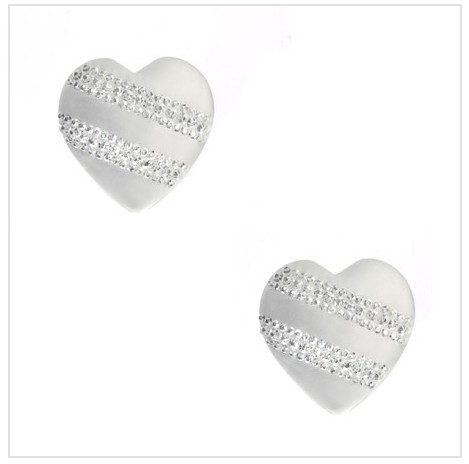 Check out this gorgeous Frosted Crystal Heart Studs As Low As $2 SHIPPED (Reg. $19.95) right now! These are sure to garner lots of compliments!